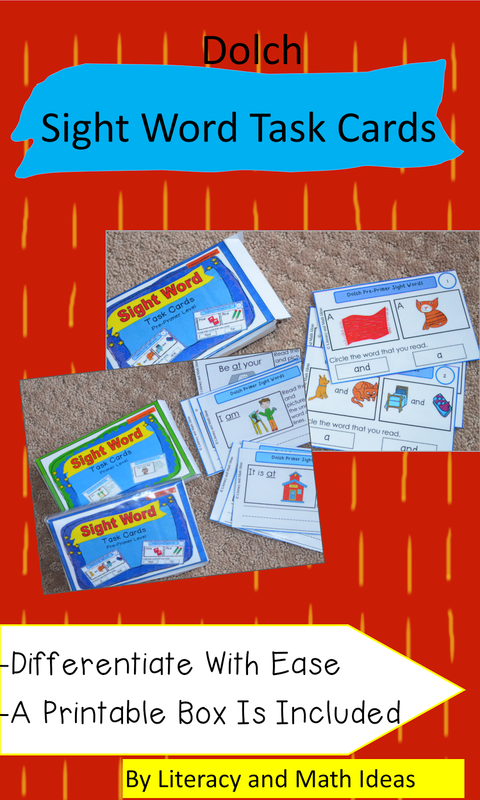 These dolch sight word task cards are a great way to meet the needs of students and differentiate instruction. Even better, each set of task cards comes with a printable, easy-fold box for convenient storage. to practice their sight words. Different levels are available to assist with differentiating instruction. The visual pictures on the task cards are great for autistic students and developing readings. Follow the link to access comprehension task cards that are organized by guided reading levels too!